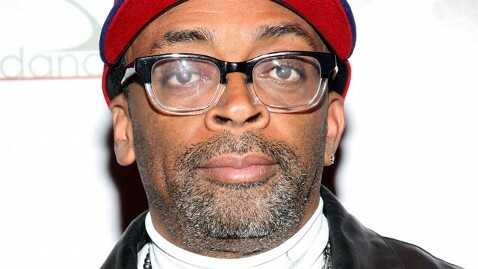 An elderly Florida couple who found themselves caught in the center of the George Zimmerman-Trayvon Martin case last year has filed a lawsuit against film director Spike Lee for retweeting information that mistook their home for Zimmerman’s. Lee sent a Twitter message last year to his 240,000 followers with an address that he thought belonged to Zimmerman, who was accused of killing the unarmed teenager Martin. But the address was actually that of Elaine and David McClain of Sanford, Fla., both in their early 70s, whose home became the focal point of online vitriol aimed at Zimmerman, who also lived in Sanford. Now the McClains have accused Lee of negligence in a lawsuit filed in Florida and posted by The Smoking Gun. The original source of the misinformation was a man in California, who tweeted the address to various celebrities, according to the lawsuit. Lee then retweeted to his followers with the same address, which was repeated hundreds of times with threatening messages. The McClains told Orlando, Fla., news station WKMG-TV that the wife’s youngest son’s name is George Zimmerman but he had no relation to the Zimmerman involved in the case and had not lived at the home in years. They have not sued anyone else. The McClains said in their lawsuit that they feared for their lives after their address was broadcast on Lee’s account. They are seeking at least $15,000 in damages. Lee previously settled with the couple over the tweet. The couples’ attorney, Matt Morgan, told the Los Angeles Times in March 2012 that Lee called the McClains to apologize and compensated them. But the couple’s lawsuit now alleges that the threats continued throughout Zimmerman’s 2013 trial. Morgan did not return calls for comment. Neither the McClains nor Lee’s representatives have returned ABC News’ request for comments. Zimmerman was acquitted of murder for Martin’s death in July.